A rare undated image of the old Crescent Station buildings that sat just south of Crescent Bridge. 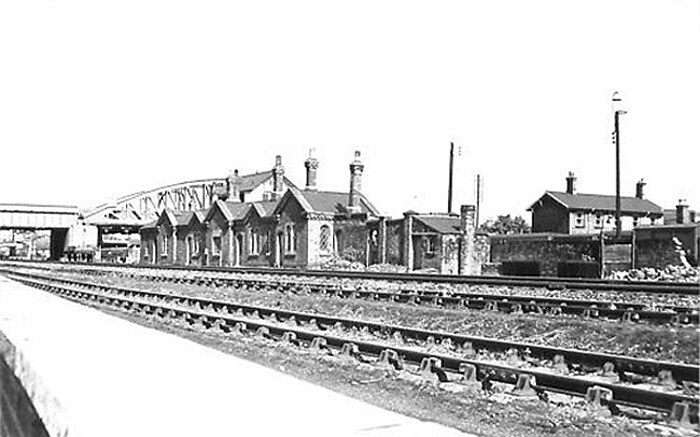 Owned by the Midland Railway, Crescent Station ran briefly in tandem with the larger Great Northern Station but exclusively for Midland Railway trains until they all unified in using the main GNR station. Crescent Station opened in 1858 and closed just eight years later in 1866 !